This is an ethical and moral issue of the first order. If animals are so like us that we can substitute them for testing instead of using humans, then surely those animals have the very attributes (ability to suffer physically and psychologically, conscious awareness) that means they deserve to be respected and protected from harm — as we would wish for ourselves. It is easy to think that animal experimentation has nothing to do with the average Australian — but it does. Any person who donates to a medical charity is potentially assisting to fund research involving animals. Therefore it is necessary to have a basic understanding of the issues, the impacts on animals and the alternatives, to allow an informed decision to be made as to whether it is appropriate to financially support what has become a multi-billion dollar industry. 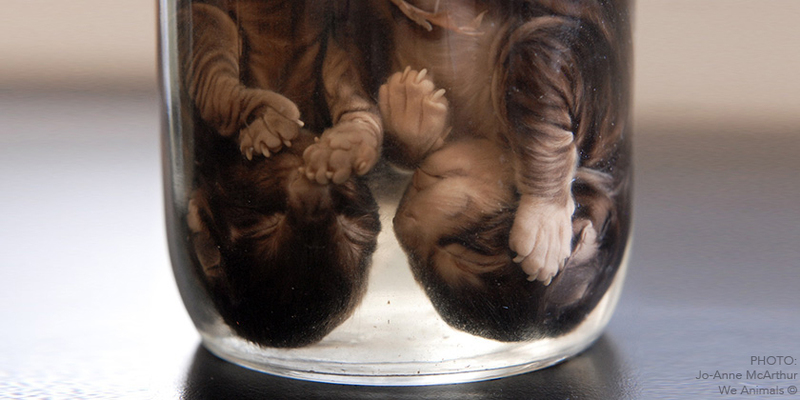 Animal experimentation and the invasive use of animals for teaching, is inherently wrong. The use of animals in research and teaching is more about tradition and history than it is about science. Animals Australia is not opposed to 'scientific progress', but we are opposed to the use of animals in the pursuit of that progress. Today it is a multi-billion dollar industry, encompassing the pharmaceutical and chemical industries and university and government bodies. There is also a significant industry providing support services in relation to animal research, including animal breeding, food supply, cage manufacture, etc. More than six million animals are used annually in research and teaching in Australia and New Zealand. 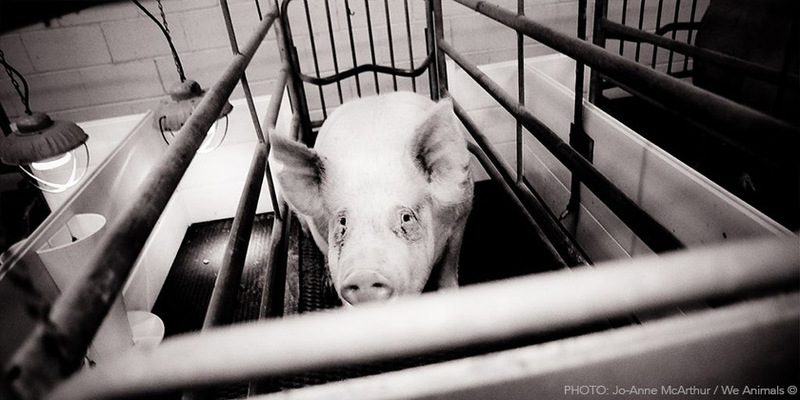 Many (but not all) of those animals are subjected to some degree of pain and/or stress during the experimental procedure or as a result of the environment in which they are kept prior to and/or after the procedures. Australia does not yet publish national animal research and teaching statistics, but most States now gather them and publish them separately. See the statistics at Humane Research Australia. Research and teaching using animals cover wide areas of activity. The public perception that animal-based research primarily takes place in the field of medicine is false. Animal-based research is widely used in agriculture and 'basic' scientific research in relation to which the argument 'animal research saves (human) lives' does not apply. Find out more about the types of research involving animals. The use of animals in teaching at all levels of secondary and tertiary education is still widespread. The majority of such teaching is not directed towards veterinary practice nor training in clinical procedures in humans. In fact, many students are required to use animals in practical classes, then choose careers in which they will never need to use animals. Some schools have inappropriate facilities and staffing for animals to be housed on site. Any benefits gained by the use of animals in teaching are often outweighed by its tendency to convey the message to students that animals are merely tools available to satisfy human research and curiosity. There are sufficient alternative teaching aids available to meet the same or more useful educational objectives as those currently being met with the use of animals. At the tertiary level, Animals Australia considers that the need for animals in teaching cannot be established except in relation to the teaching of veterinary and animal science courses. Where no non-animal alternatives exist, knowledge and skills should be obtained by study of, and practical work on abattoir materials, models, or through assistance with actual clinical cases. It would shock caring Australians that every year hundreds of non-human primates are being tested on in Universities and institutions around the country. Three primate breeding facilities supply these Australian researchers with animals for experimentation — 'supplemented' by the importation of animals from overseas countries where poaching and habitat destruction is a significant cause of plummeting wildlife populations, with some breeds of macaque monkey being critically endangered almost to the point of extinction. However, for all our apparent similarities, the results of animal experiments on non-human primates cannot be directly applied to humans — meaning that, ultimately, hundreds of primates are being killed every year in tests that have viable animal-free alternatives. There are already many alternatives to animals which have been developed, particularly in the areas of toxicity testing and teaching. Developments have occurred most rapidly and effectively in countries in which the use of animals is prohibited. The use of alternatives may involve the use of the same experimental goals, but using instead techniques which may include cell cultures or computer programs, or it may involve changing the experimental aim altogether, such as eliminating an animal based experiment and replacing it with a clinical experiment involving humans. The failure to use alternatives is too often caused by inertia, lack of funding, or a reluctance to deviate from previous methodology. The use of alternatives is crucial to the elimination of the use of animals in research and teaching. 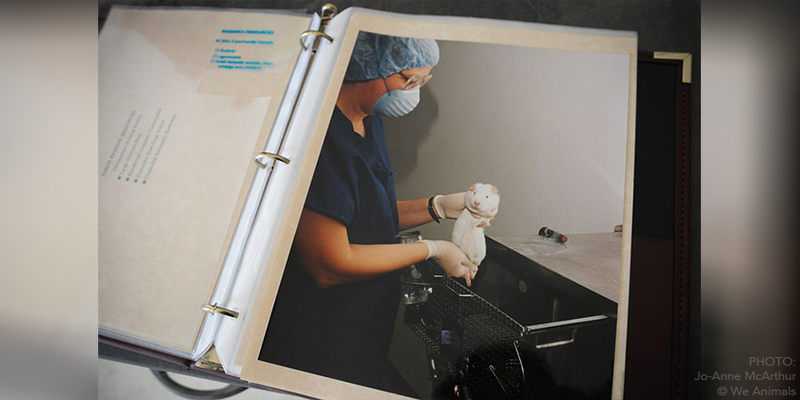 For further information see the animal experimentation fact sheet. As a consumer: click here to sign the pledge not to buy products tested on animals, and encourage your friends and family to take the pledge too! Avoiding cosmetics and toiletries that have been tested on animals, or have animal-based ingredients is easy — see 'The List' of products that are 'cruelty free', here or phone (03) 9328 1377 to request the 'Preferred Products List' be sent to you. Click here to call on Colgate/Palmolive to stop testing on animals. As a student: advise your teacher and/or your school/institution that you will not take part in the use of animals in classes, and encourage them to adopt non-animal alternatives in their teaching. Visit Interniche — a great organisation dedicated to the adoption of humane education techniques, and including some great resources. As a community member: educate yourself about the ethical and scientific aspects of animal use in research and teaching, and then ensure you let our elected leaders know of your views. For further information on these issues visit Humane Research Australia.